Advocates of SilverStone will know all too well that the Raven Series has been expecting its fourth instalment for some time now. Year after year SilverStone have teased enthusiasts at various trade shows like CES and Computex with sneak previews of this upcoming case and it isn’t until now that we can finally get our hands on what can only be described as “much anticipated”. The Raven series has had plenty of success, especially with the notorious Raven 2 (RV02) and fans of this range have been keen for something to appear along similar lines. The new Raven 4 adopts similar characteristics to its predecessor but also brings in some interesting new concepts too. 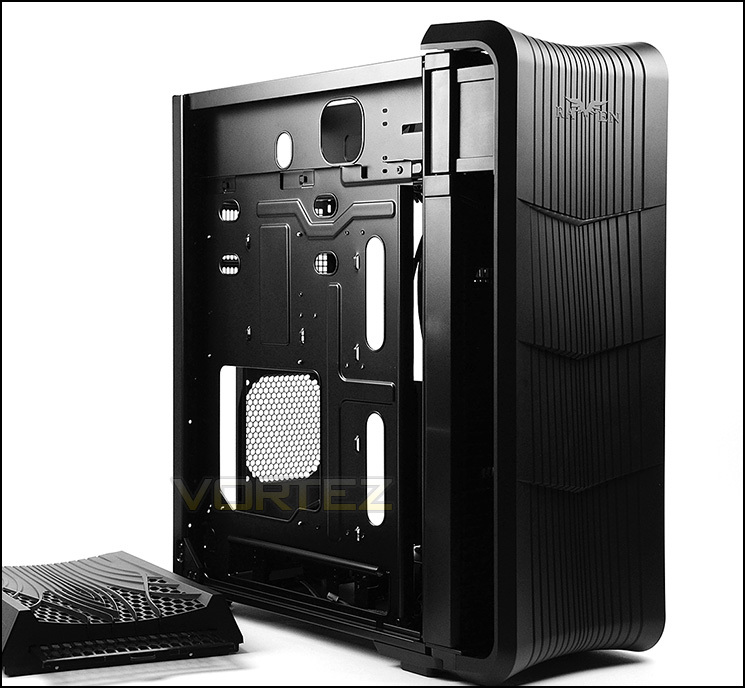 Raven 4 is a full tower chassis with a distinct design, utilising a reversed and inverted motherboard tray. Adorned with two 180mm front intake fans, CPU cooler and graphics card support mechanisms, this new case is set to push the boundaries for computer case design. The real question is; after such a long wait, can enthusiasts be satisfied with this latest rendition? Let’s find out! Since its debut in 2008, the RAVEN series has been synonymous with excellent cooling and unconventional designs. For the RAVEN RV04, the engineers were tasked with the goal of producing a design that utilizes a more traditional layout to match the performance of its 90 degree motherboard mounted predecessors. Inspiration was drawn from the highly successful Temjin TJ08-E, a Micro-ATX case with compact dimensions and best in class cooling performance, so the motherboard and the fans in the RV04 are mounted in similar fashion to obtain equally impressive performance in ATX form factor while allowing for excellent cable management.